Nice to be here again, writing my ramblings about new releases and updates - and trust me, there was a fair amount of them. And even better, we can expect some more soon, as Stardoll hinted. But first things first, let's see what last week brought us. On Monday, we got a Hot Buys Summer Retro collection. For those who don't remember or weren't around at that time, we had a HB Summer Retro collection last summer as well. 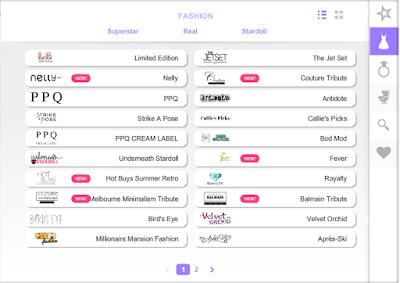 Basically, Stardoll re-released some old HotBuys, and altered the prices and store tag on items. A true nightmare for a dedicated HotBuys collector, and a great chance for people who cannot afford to pay ridiculous prices for certain items they missed (plastic see through clutch for example). I am not really fan of the collection, but there are some ok items. Although, many agree that we should be getting some older HotBuys, not so recent ones. On Tuesday, another re-release - Callie's Picks decor - Ramadan themed. The collection is pretty small, and to some, it resembles Aladdin, to which I agree. I mean, we have a magic lamp, a monkey, and the tent. 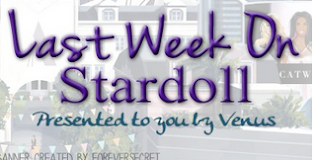 Stardoll decided to dedicate it to Ramadan, which is/was around, I am not really sure. Not so ordinary items, but a great to add a Oriental touch to your suite. On Wednesday and Friday, respectively, we got 2 Nelly.com collections. The first release seems really perfect for Summer - short tops and dresses, and also some great accessories. I am loving the leather jacket. Colors are good for summer, well at least on some items. Of course, you can never go wrong with black, but bright colors are much more pleasant to wear on those hot days. The second release was named "Denim & Supply inspired by Ralph Lauren". Items are much different from previous collection. Honestly, I am loving 1st collection more. It is my opinion, but I really like only a few items, one of them being denim dress (I adore denim). On Wednesday, too, we got an update of our daily gift system. Basically, instead of having to click on a random box and having fingers crossed hoping for stardollars or a nice amount of starcoins, now you have a picture showing you gifts for each day you log in. Prizes are pretty random, and even they say Superstar members get better gifts, I am not so sure about that. 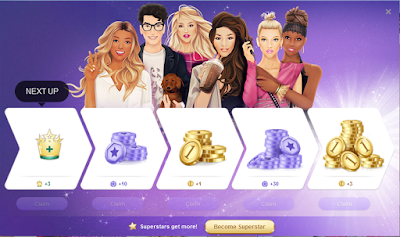 Another thing that was updated is that now you have a chance to win starpoints as well, quite useful for users who want to level up fast. (It would be nice if Stardoll updated starpoint awards - after certain level, you only get starcoins/stardollars). I love that we know what can we expect, so we can plan ahead, and there is bigger chance for non paying members to get their hands on those precious gold coins. Anyway - I really, really love the update. 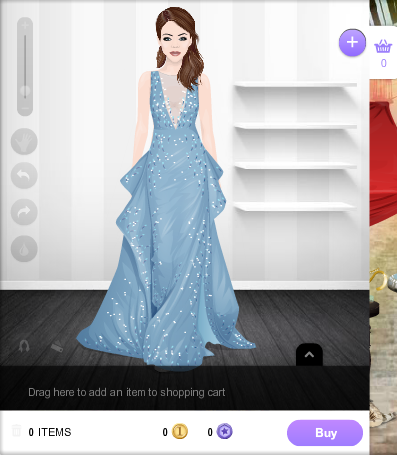 And another update (wow, Stardoll! ), this time in starplaza. Granted, it is only layout, but it looks so good. I love dressing room, it looks more professional. They have also updated store select layout, it is much easier to navigate, and it looks really practical and professional as well. I am really loving the updates Stardoll has been adding in last few months. I have played/am playing several online games, and one thing that is certain, is that the game must be constantly updated to keep users from leaving the game, and keep spending their money on it. - Melbourne Minimalism is leaving starplaza. In case you wanted to buy something, don't think twice, the store won't be there much longer. - Subcouture is having another collection coming soon - save/buy some stardollars and get ready. - More updates are coming. We are not sure what are they about, but it seems to some that we'll be finally getting closet search function *fingers crossed*. So there is a lot to expect from the following week. Have a nice one, and then come on Sunday eventing (or morning/afternoon, whatever your time zone it may be), to see what you got/missed, see my reviews, (if you like them, of course). Until then, you know what to do - vote, comment, and see you in a week.